Dear, dear friends! I think of you often as I picture what stage of the year you are encountering, from kick-off to midterms to Fall Retreat. My YAV coordinator recently asked me about a moment I’ve experience God lately, and what came to mind was that I recently downloaded the Pres House worship playlist (aka 10,000 Reasons, Beautiful Things, etc) and it was in those moments, listening to those songs which made me feel so complete, with my feet both back home and Zambia, that God was most clear to me. Two months ago to this day I left on this journey to Zambia, leaving with your thoughts, prayers, and financial support. Since then each day has been full—full of new people who morphed into family and friends; full of eye-opening, earth-shattering realities about poverty and the systems of the world; full of nshima—Zambian food; full of harmonious song, full of handshakes; full of children laughing; full of people shouting at me saying, “Muzungu” or white person; full of marriage proposals; full of loneliness; full of togetherness; full of cockroaches; full of thoughts of how much water I use, full of students wanting to learn so badly; full of many students performing poorly in classes; full of the language; Nyanja, and me not knowing what in the world is going on; full of not knowing exactly what will happen next and being led from place to place; full of dust; full of heat; full of power outages; full of prayer, even with demons; full of markets; full of sweeping and dishes; full of lesson plans; full of not knowing if the kids are actually learning anything; full of dancing; full of effort; just plain full. Two months have passed and just when I think I’ve been filled to the brim, the people around me find more room to fill me up. I am thankful to them, and especially you at home who are making this experience possible. Thank you for your prayers and support. 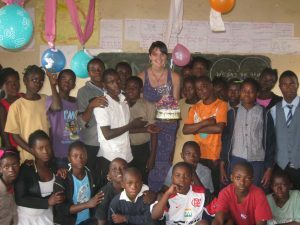 I want you to know that I am in the thick of life here in Zambia and it is both lovely and challenging. Most of the time I feel a million things at once, but I do know I am transforming for the better. I am grasping a better understanding of God’s beautiful, mysterious, living reality. This understanding is one I knew before, but not in a profound way that sunk in or caused me to act enough. So let my new perspective be a reminder and inspiration to you. The life each of us live as individuals is not reality. I think we should use “reality” as much broader term to encompass all of humanity. There is a valid and actual diversity in this world, people living in different ways, with different values, under a different system of oppression or even privilege—and all of this is real. This is reality. Reality is not just how you choose to live your life, or what choices you have, or how you read the Bible. Your life doesn’t totally grasp reality because others live life differently, with different choices available, and their lives are just a real—and just as beautiful and just as challenging. Realizing this phenomenon of broad and diverse human reality allows us transcend. If we look at reality as beyond our own experience, we can go halfway across the world, changing our individual life and pick up someone else’s, at least in a small way for a while. If we don’t accept our individual perspective as reality, we can look around us and say, this life I am living, with poverty near or far, is not God’s kingdom. This world with its systems of oppression is not what God planned. When we realize that our own lives are not reality in its completeness, we can change what we see around us! So don’t stop looking around, Pres House! Look at yourselves and see where your life doesn’t match the realities of others and where it doesn’t match the reality God wants for us. If you don’t know quite how to do this, I’m right there with you, but if my time in Zambia is teaching me anything it is that attempting to live into God’s greater reality takes time and starts with merely showing up, over and over again, in the lives of people. Just showing up. Honestly, that’s about all I can muster everyday, but it seems to be working and I am very blessed. Apologies for the sermonizing, but I am truly thankful for your support and it means so much to know I have such an amazing church family filling me up and sending that love halfway around the world. My cup overflows! 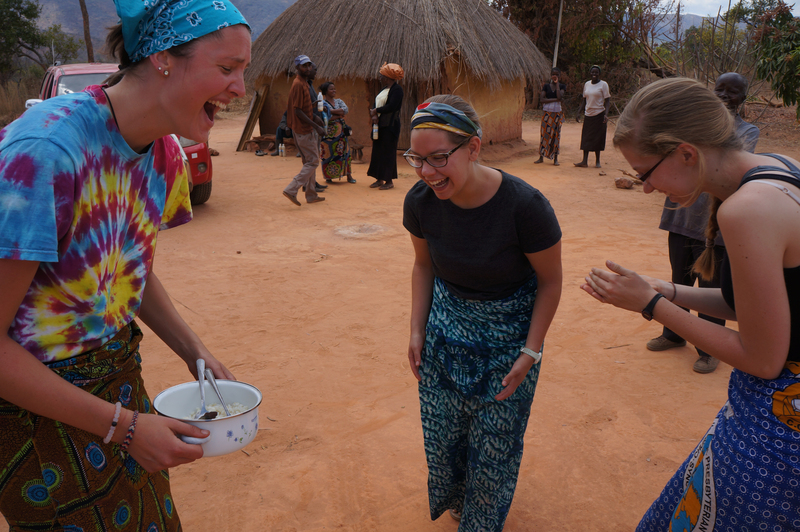 previous post: Young Adult Volunteer – Hannah in Zambia!